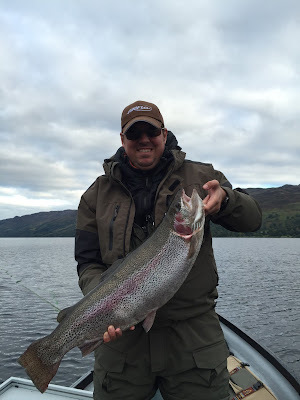 October 2015 Fish of the Month Entry - Loch Earn Rainbow! Scott Weir with a huge Rainbow Trout he caught on the fly from Loch Earn! The fish took a Warrior Nymph fished on an Airflo Super Dri floater with a 4lb leader.